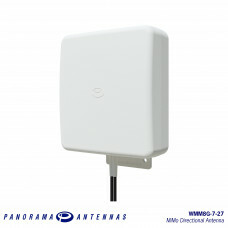 The WMM8GG-7-27 antenna is a high directional gain 2x2 MiMo signal boosting antenna for 2G, 3G and 4G networks. 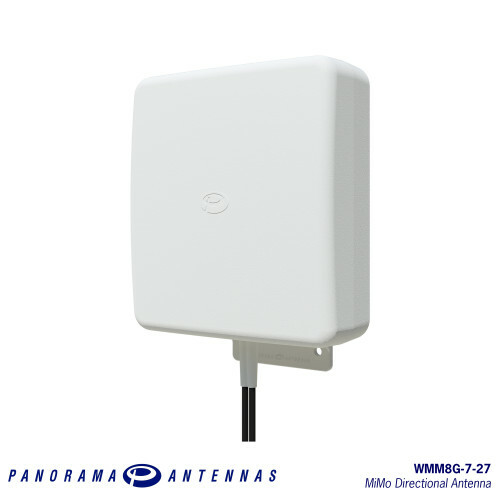 Incorporating two separately fed wideband elements in a single housing the WMM8GG-7-27 is equipped to provide client side MiMo and diversity support for 2G, 3G and 4G networks. 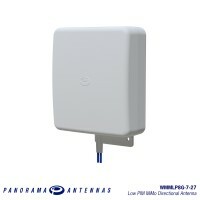 With 6dBi of peak gain at 698-960MHz and 9dBi peak gain at 1710-2700MHz the WMM8GG-7-27 also incorporates an integrated active GPS/GNSS antenna with 26dB gain LNA for applications requiring positioning functionality. The weather resistant housing is designed for wall mounting and wall and mast mount brackets are provided. Supplied with fitted low loss double shielded twin cable for cellular/LTE and RG174 for GPS/GNSS the WMM8GG-7-27 minimises exposed connector joints and simplifies cable management for easy installation. The WMM8GG-7-27 is an cost effective value added product for network operators and service providers ensuring a stable link with improved data rates for subscribers thereby improving satisfaction and retention. Protected from low-pressure water jets from all directions. 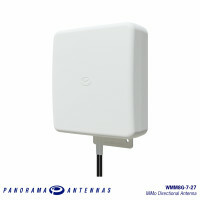 A versatile MiMo directional antenna for InBuilding applications, Panorama’s WMMLP8G range allows bu.. 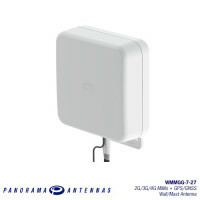 The WMM8G antenna is a high gain directional 2x2 MIMO signal boosting antenna for 4G and some 5G net..